Dynamic Flight has reputation to protect, we only sell high quality used gliders so you can buy with confidence! All gliders have been made airworthy, trimmed and tuned to original specifications and are ready to fly. 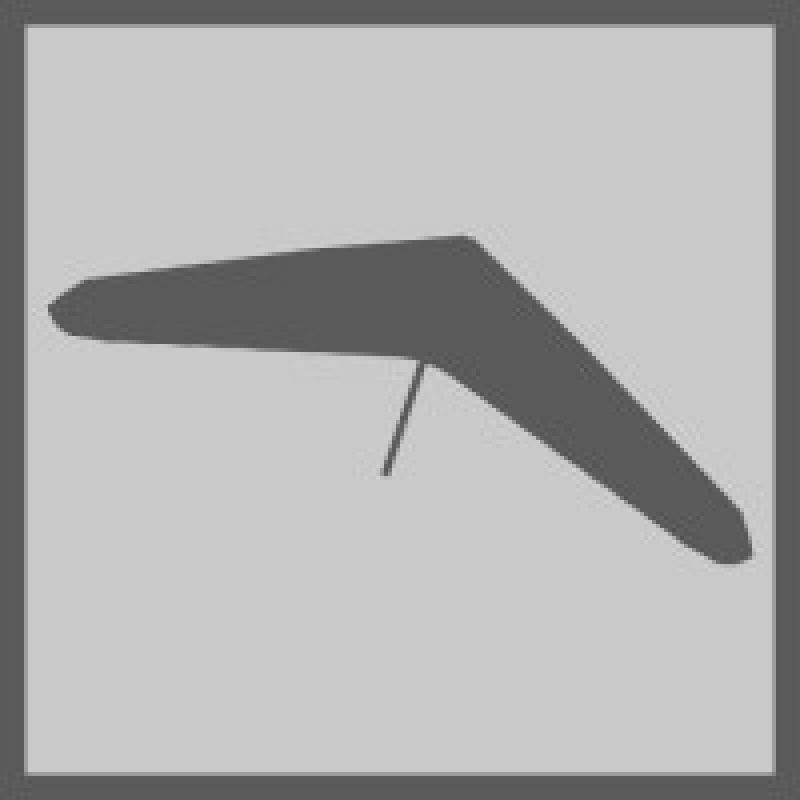 If you have a glider you would like to sell on consignment here it will first have to be inspected by Rohan and be made airworthy, this may require new wires or other components and cannot be on-sold until it has been trimmed and test flown. This inspection / test fly fee is $250. contact Rohan. Fluoro orange under sail, mauve leading edge . Very good condition! This is a big boys glider and/or tandem machine. Some people use them with their nano-lite trike and/or big boys for their powered harnesses. Has been trimmed, tuned & test flown. Fully inspected. Nothing to replace on this one for 2 years as per maintenance schedule. Blue leading edge, fluoro green undersurface. Very good condition. 20 hours. Recently up for sale. Flies very well. Suit small pilot up to 70kg. Lot better performance than the Fun 160 but with a really nice slow landing speed. Nice handling glider with the latest features. Suit pilots less than 70kg. A real delight to fly. VGC. Has been trimmed, tuned & test flown. Fully inspected. Nothing to replace on this one for 2 years as per maintenance schedule. Grey and magenta under sail, mauve leading edge. Very good condition! Nice handling glider. Similar vintage to Sting 1 and Moyes XT. Has been trimmed, tuned & test flown. Fully inspected. Nothing to replace on this one for 2 years as per maintenance schedule. Blue and pink under sail, pink scrim leading edge. These were a very nice handling intermediate glider in their time. Similar vintage to the Sting 1 and Moyes XT. Has been trimmed, tuned & test flown. Fully inspected. Nothing to replace on this one for 2 years as per maintenance schedule. Mylar leading edge; fluro green and blue under surface. A truly magical glider to fly for the lightweight intermediate pilot. Has a great speed range and excellent thermaling manners. Very easy to launch, land and pack-up. Has been trimmed, tuned & test flown. Fully inspected. Nothing to replace on this one for 2 years as per maintenance schedule. VGC. This is the smallest intermediate glider you can get. It was made for the Japanese market and is hard to find in Australia. Pilot weight must be less than 60kg. Has been trimmed, tuned & test flown. Fully inspected. Nothing to replace on this one for 2 years as per maintenance schedule. This is one of the early Litespeeds, before the S model. It is quite nice to fly for the heavier pilot. One pilot has owned since new and has been kept in good condition. Has been trimmed, tuned & test flown. Fully inspected. Nothing to replace on this one for 2 years as per maintenance schedule. This is the RS. Has the lightweight smoke sail, starting to show signs of premature delamination. Nice to fly, climbs well with 90kg clip-in. Has quite a few carbon options. Has been trimmed, tuned & test flown. Fully inspected. Nothing to replace on this one for 2 years as per maintenance schedule.